How long does it take to restore power following an outage? It depends. Removing a branch from a line is quick and relatively simple. Replacing a broken power pole or digging up buried cable to find and repair a fault is a much longer process. 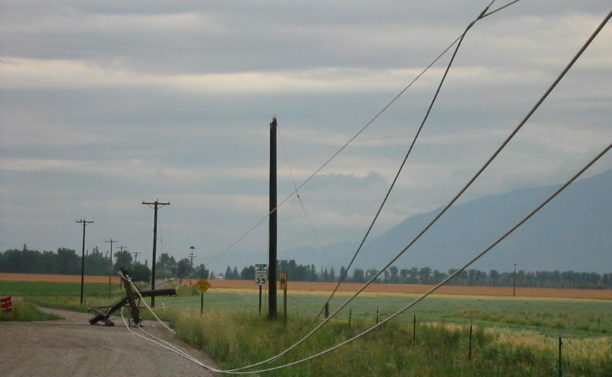 Outages can last from minutes to hours, even days depending on the severity of a storm or other event. Your location also affects the time it takes to get power restored. If you live in a rural area, it might take FEC crews an hour or more just to arrive on location (especially if they need to leave their home in the middle of the night). Then, they need to inspect equipment, determine the cause, and develop a plan to restore power safely. Sometimes members call within a few minutes of their power going out wondering when it will be back on. In reality, our crews haven’t had a chance to arrive on scene yet, let alone figure out what’s causing the problem. One thing that is consistent, however, is that Co-op crews, often braving dangerous weather conditions and working through the night, do everything they can to restore power as quickly and safely as possible. It’s a critically important, dangerous job that FEC crews take very seriously. Safety (yours and ours) is our top priority. 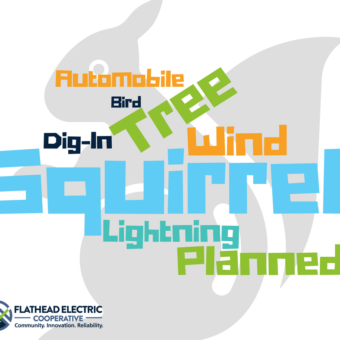 While Flathead Electric Co-op likes to restore power as quickly as possible after an outage, it is even more important that our employees go home safely to their families at the end of the day. Our crews are trained to take the time and safety measures they need before making repairs to electrical equipment. 201 can be attributed to weather related events such as wind causing trees and branches to fall on lines. 44 were human-caused. 17 vehicle vs. power pole incidents have been reported this year, along with accidental dig-ins to underground power lines, vandalism, etc. 530 were caused by animals. Squirrels are the usual suspects, but other animals cause interference as well. Why does my power sometimes blink? A “blink” (a brief momentary interruption in service) is a normal part of a power delivery system that serves an important purpose. 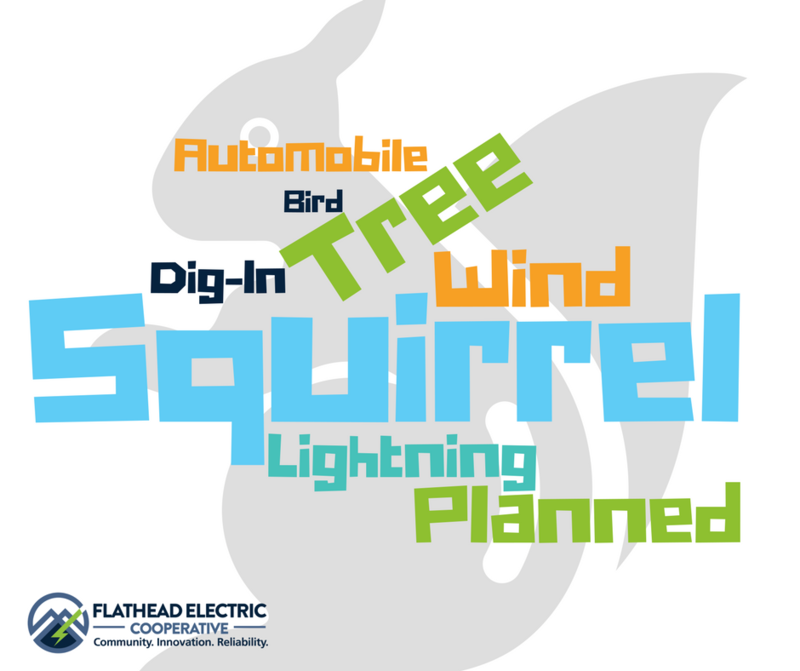 For instance, despite our best efforts to keep trees near our lines trimmed on a regular basis, strong winds can cause those trees to make contact with wires. When that happens, your lights may dim or you might lose power for a few seconds as the system operates to identify and clear the problem. Without this protective equipment, members could experience a prolonged outage instead of just a blink. How is power restoration prioritized? FEC energizes just shy of 65,000 meters along the almost 5,000 miles of line it has on the system. That’s a lot of folks and a lot of ground to cover. The main goal is to restore power safely to the greatest number of members in the shortest time possible. Transmission lines supply power to substations (which then distribute power to thousands of members), so these lines would receive first priority if affected by an outage. Next, crews would make any needed repairs at those substations, followed by repairing transformers and distribution lines. I’m out, but my neighbor isn’t. Why? Homes in a neighborhood may be fed by different service lines and/or the cause of the outage might be originating in the home and be unrelated to activity on the side of FEC. Why isn’t my power on 100% of the time? In a perfect world (and with constant cooperation from Mother Nature), FEC would be able to provide power 24/7 without interruption. In reality, we come pretty close. 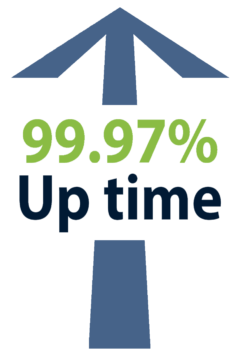 FEC has an “up time” of 99.97%. 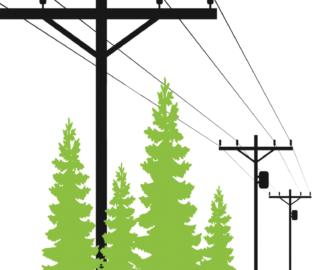 Considering some of the challenges in our area with the dense trees and harsh weather, we’re proud to provide such reliable power to our members. You should report it to the Co-op by calling 406-751-4449. FEC is staffed 24/7 to assist with outages. While we understand the inconveniences caused by outages, please be patient while our crews work to determine the cause of the outage then work to restore it as quickly and safely as possible. It’s also important to keep perspective. Many of our members can recall a time (not that long ago) when electricity wasn’t a given, but rather a luxury enjoyed by a select few. Oh, and if you have flashlights or candles on hand during an outage (and maybe a little whimsy in your heart) you could try making a few shadow puppets on the wall while you wait for your power to be restored.